Royalty. Romance. Magic. Betrayal. War. 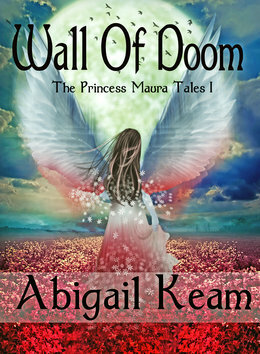 Book 1 of The Princess Maura Tales—a five-book saga. A treat for readers who love epic fantasy, sword and sorcery tales mixed with action and a spoonful of supernatural. Princess Maura is the beloved and spoiled daughter of Queen Abisola and her Consort Iasos, but an ill wind is blowing their way. From the distant east, nomadic tribesmen, known as the Bhuttanians, have unified under the leadership of Zoar, a powerful king who is bent on building a vast empire. Queen Abisola has little time to transform her peaceful, agrarian country into a fighting military unit able to take on Zoar’s experienced warriors. 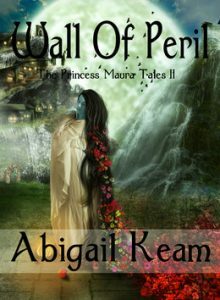 Queen Abisola must surrender her daughter to the Dinii, a bird-like people who will adopt and train Princess Maura as a warrior to lead her people against Zoar. For years, both the Dinii and Maura’s people prepare to withstand Zoar’s inevitable onslaught, but they never anticipated combating the black magic of Zoar’s evil wizard Zedek. And no one foresaw that Princess Maura would fall in love with Dorak, Zoar’s son! Will Princess Maura lose the love of her life as she struggles to save her people? Will her country be able to survive where others have crumbled before the tyranny of Zoar? Or will the Dinii betray her to the warlord Zoar in order to save themselves?